A funny thing happened in my email inbox yesterday: At 3:47 p.m., I got an email from JetBlue informing me that the airline will be adding a new route between Tampa and San Juan, Puerto Rico. Then, at 3:57 p.m., I got an email from AirTran … informing me that the airline will be adding a new route between Tampa and San Juan, Puerto Rico. JetBlue: Starting May 2011, JetBlue will add daily service between the two cities, with a second daily flight beginning June 2011. Details regarding price and specific schedules have not been released. 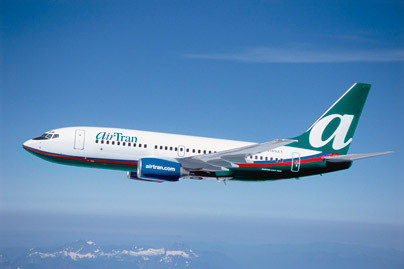 AirTran: Starting April 5, 2011, AirTran will add twice daily service between the two cities. No prices yet. It’s not rare for airlines to announce matching routes. We saw it just a few weeks ago, when Southwest said it will be coming to Newark, and JetBlue responded a week later by increasing its own service there. That’s just business as usual. But identical routes announced within ten minutes of each other? That’s not something I see too often. A quick look behind the scenes tells you all you need to know. AirTran recently said it is cutting its Atlanta-to-Miami service, leaving itself with only one route to South Beach, from Baltimore. Instead, the airline is focusing on its numerous other Florida destinations, obviously including Tampa. In its release, JetBlue referred to San Juan as a “focus city,” and, well, airlines aren’t typically excited when rival carriers add new service to their focus cities. Business as usual, I guess. Just at a faster pace.